Matching up with the ever increasing requirements of the customers, our company is engaged in providing Portable Solar Charger. Solar Charge Controller 5amp. to 20amp. 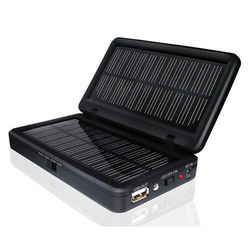 Our company is widely appreciated in offering Solar Chargers to the clients. Solar Charge Controller is made by using quality proven raw-material and cutting-edge technology. In order to retain remarkable position in this industry, we are providing a wide array of Portable Solar Mobile Charger. 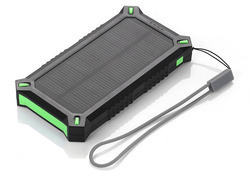 We are highly acknowledged organization engaged in presenting a remarkable range of Solar Charger. With our rich industry experience, we are engaged in offering our clients a wide range of Solar Charger. Moreover, this range is available at reasonable rates to the end user. Being a prominent firm, we are engaged in offering a distinguished assortment of Solar Panel Charger that produces electric current. With years of practice of this industry, we are providing an extensive series of Portable Solar Charger. This product is available in diverse technical specifications for our customers.